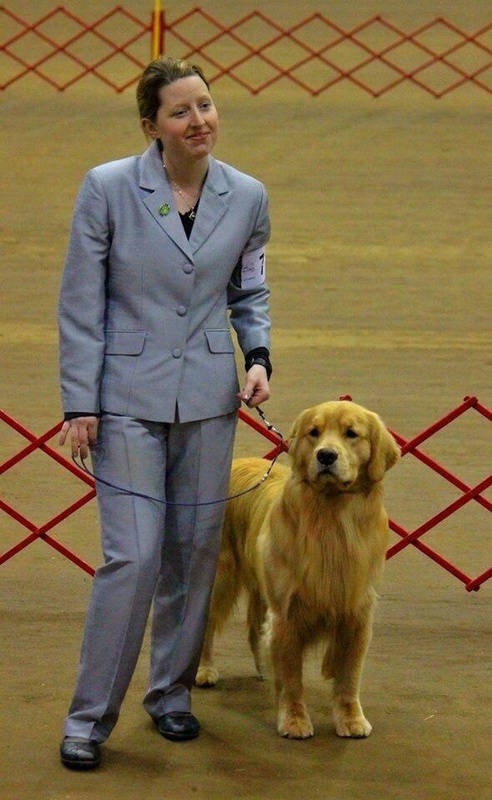 In a lot of the pictures I post you will see Leslie Racine, the lady who handles Rifle and Target. 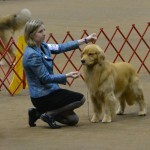 She is the owner of Riverview Handling and Labradorite Kennels, located in West Virginia. 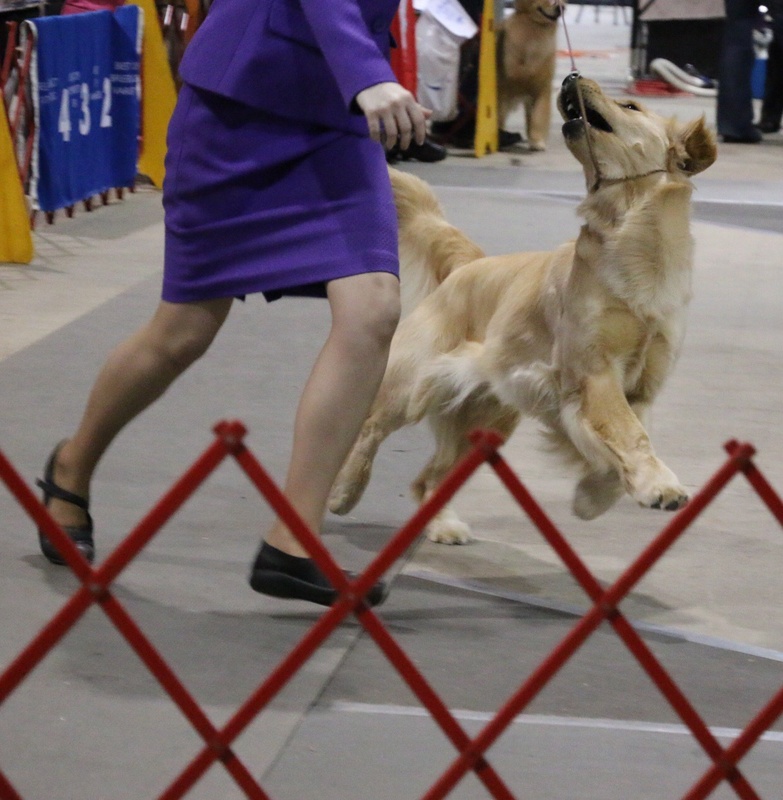 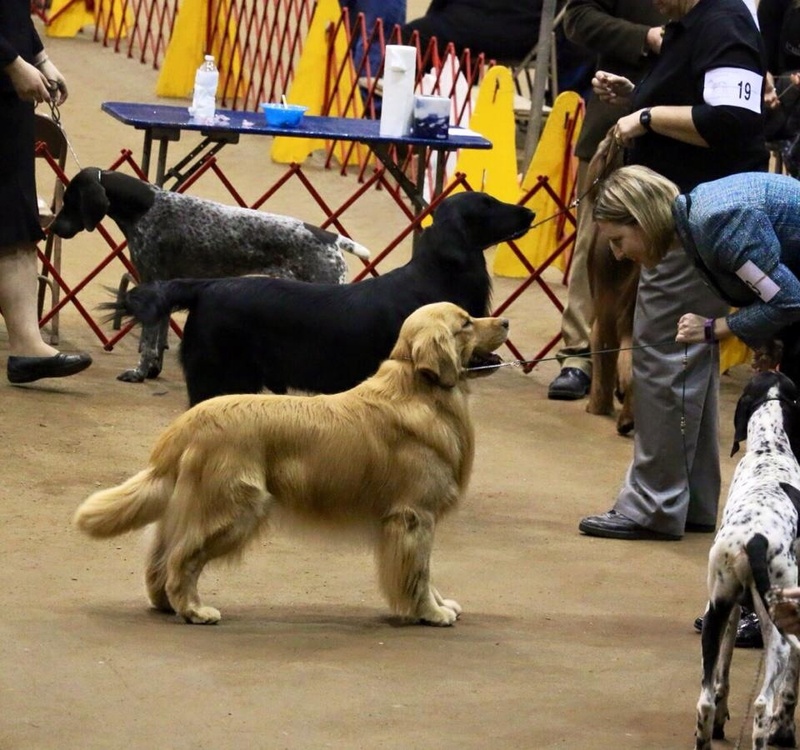 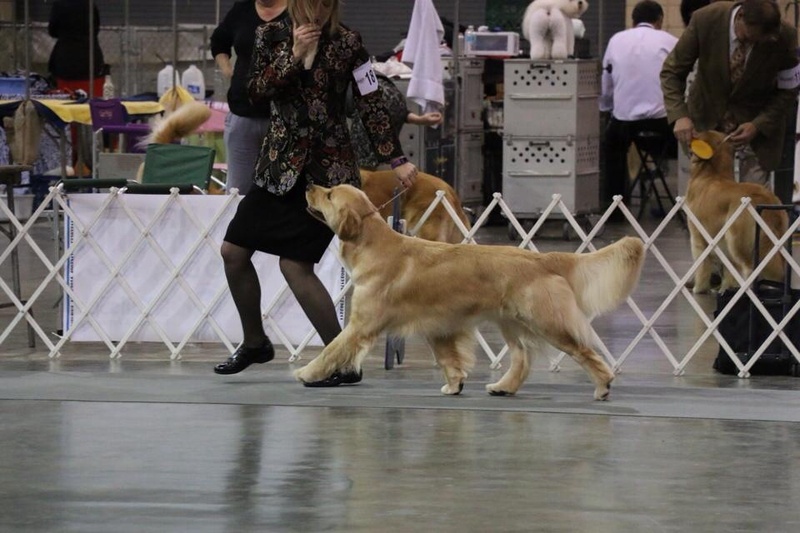 I would have been lost in the dog show world if she hadn’t given me some advice way back during Rifle’s second dog show. 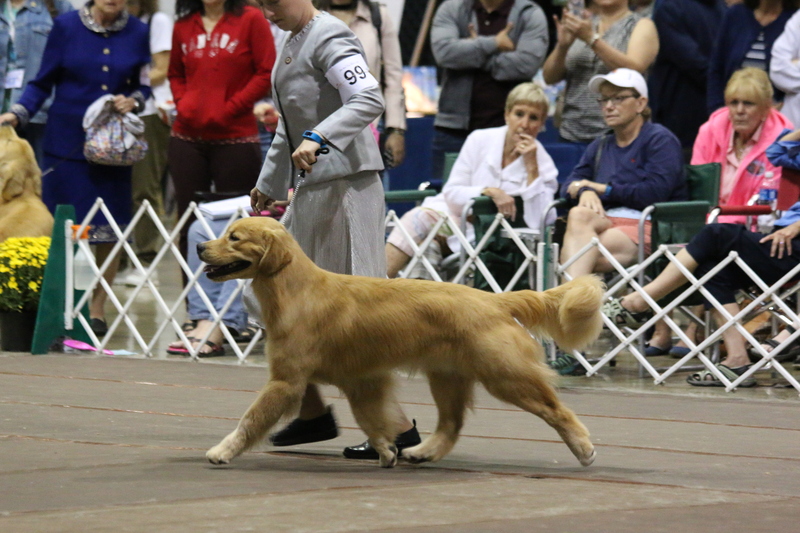 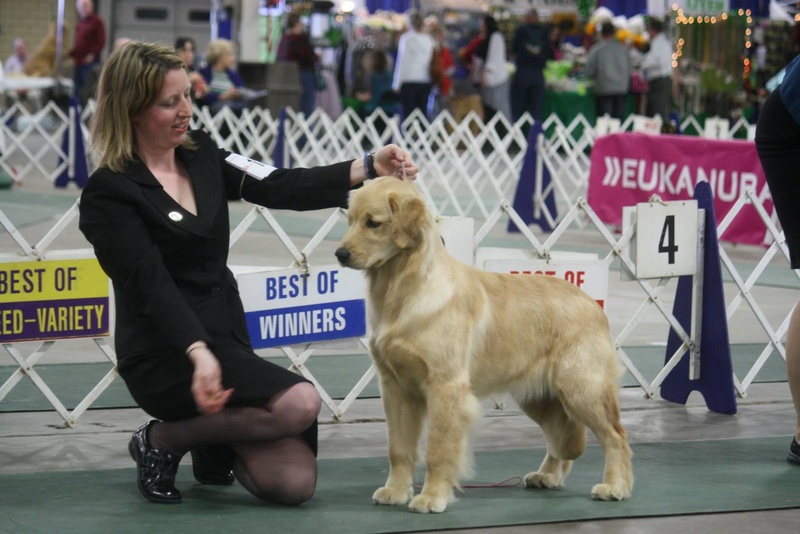 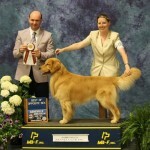 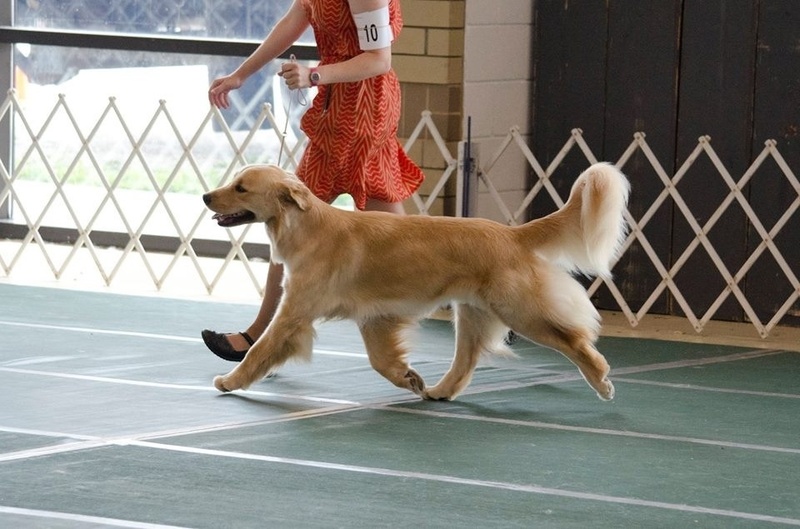 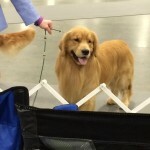 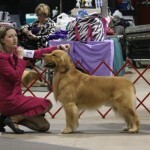 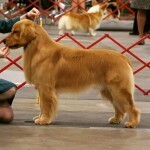 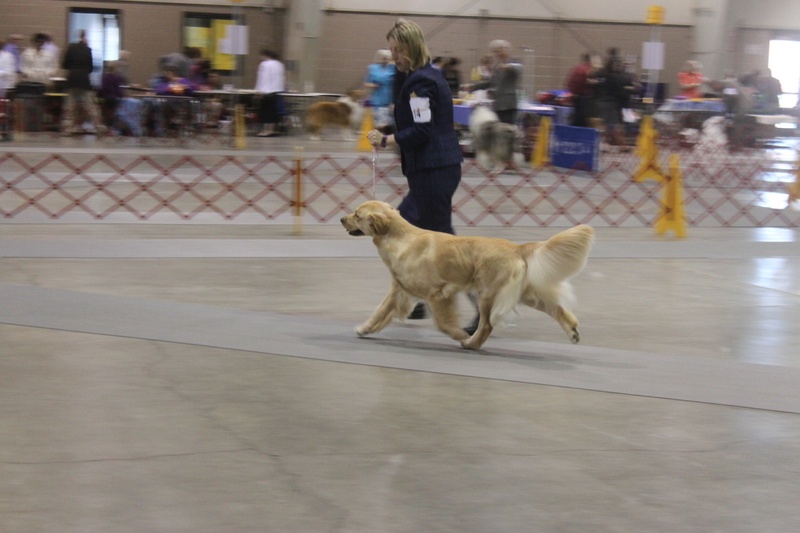 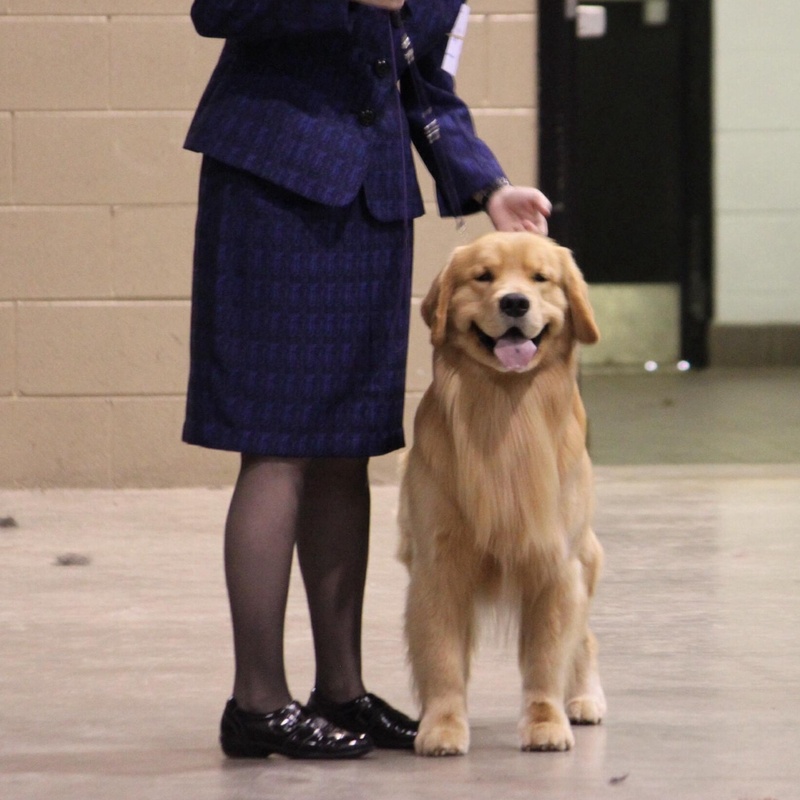 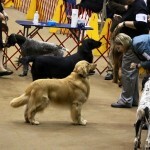 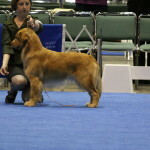 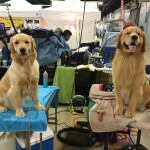 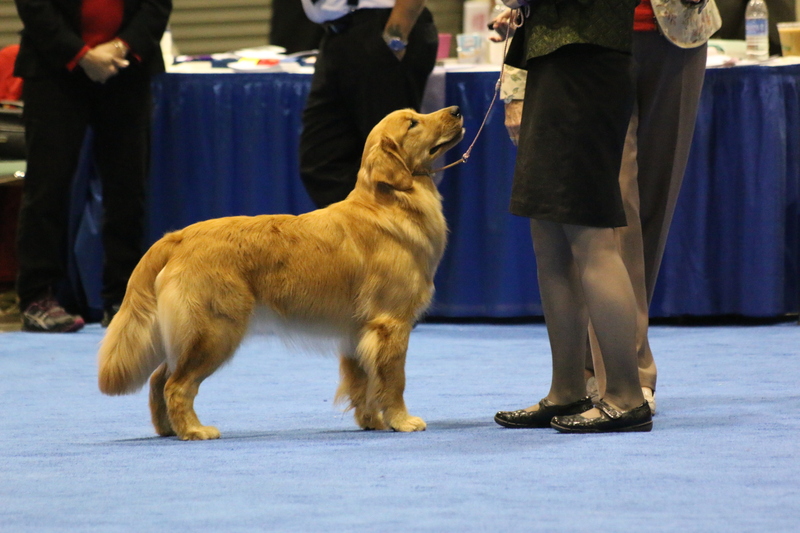 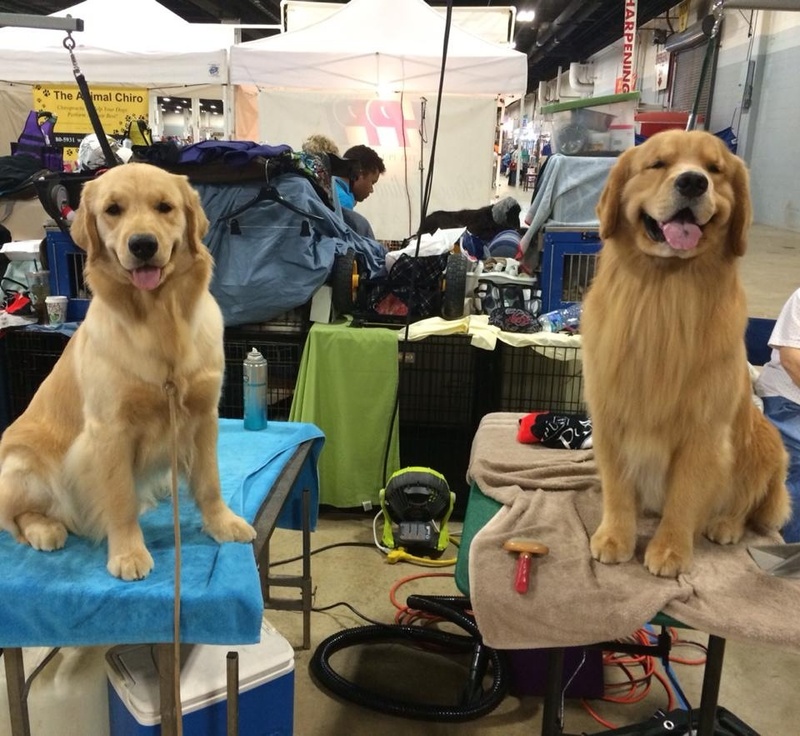 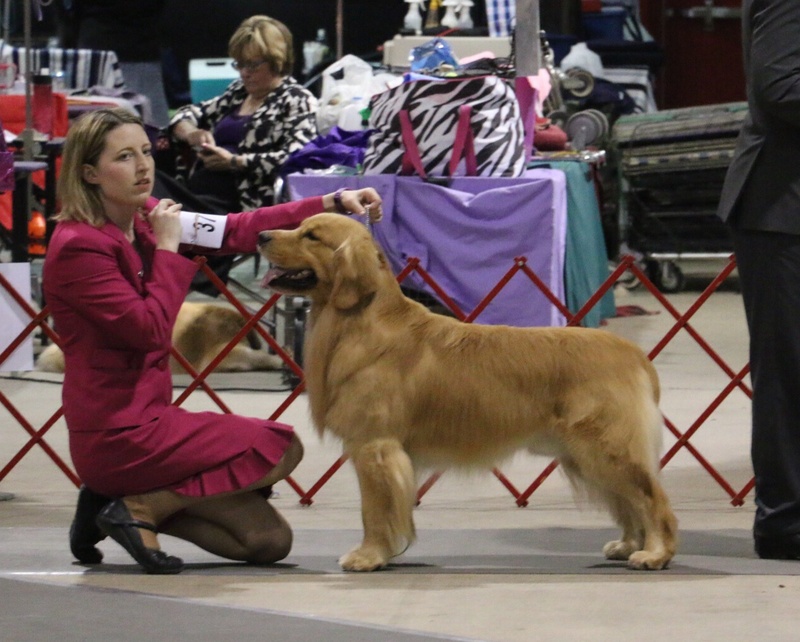 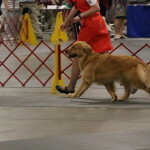 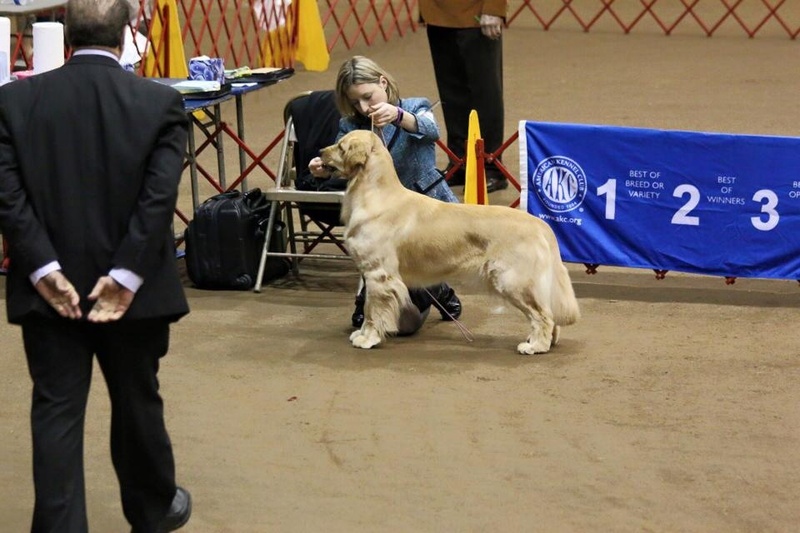 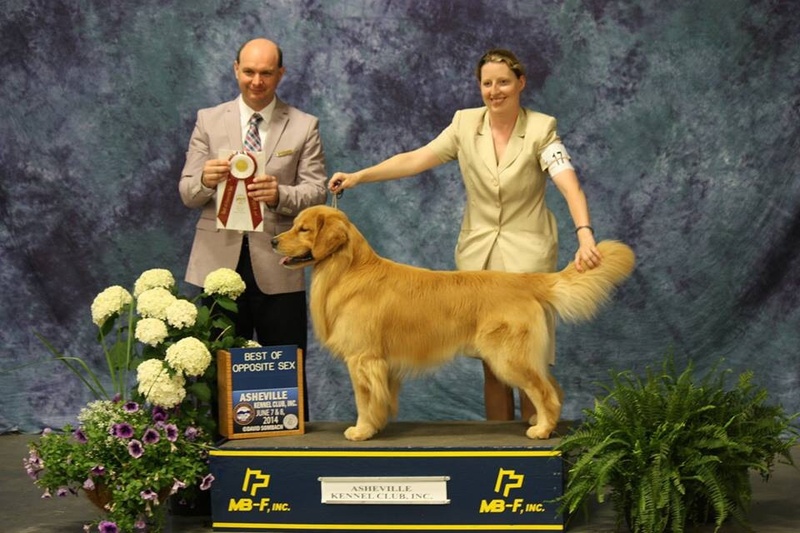 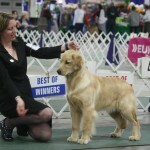 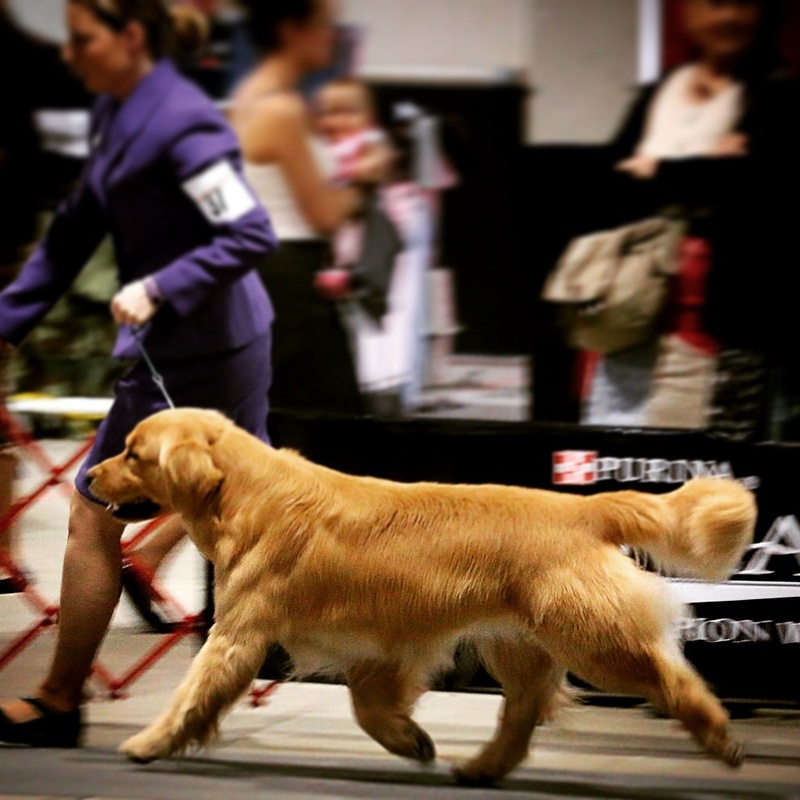 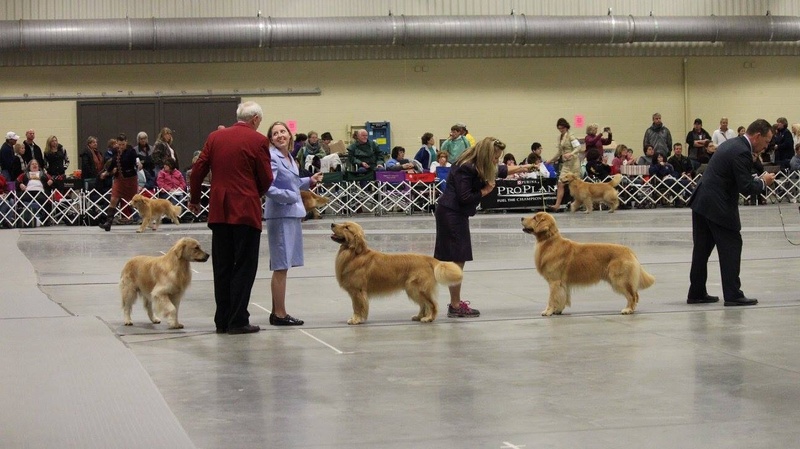 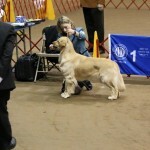 She has showed him beautifully to his AKC Championship, AKC Grand Championship (GCH) and Bronze Grand Championship (GCHB). 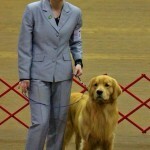 He also has a new title at the end of his registered name. 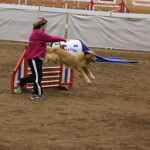 He earned his Novice Agility Preferred title. 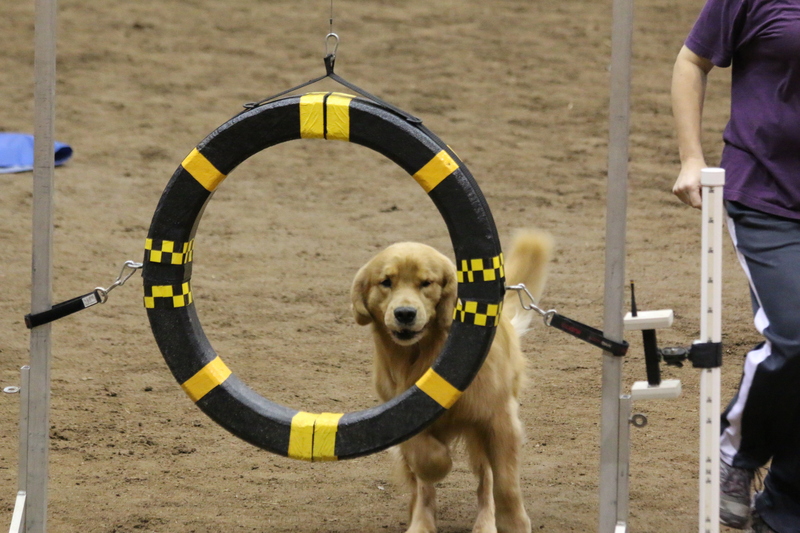 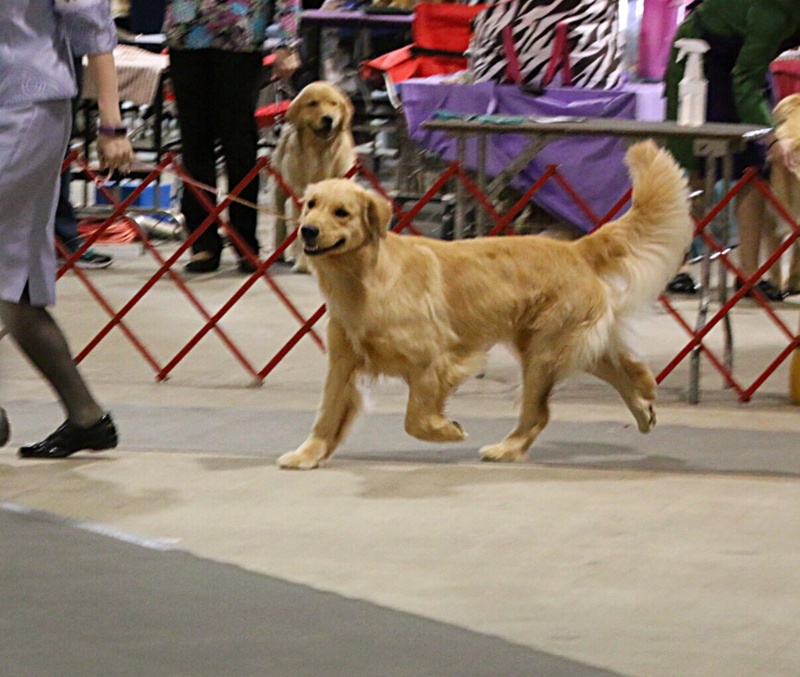 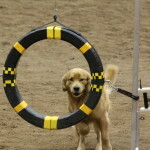 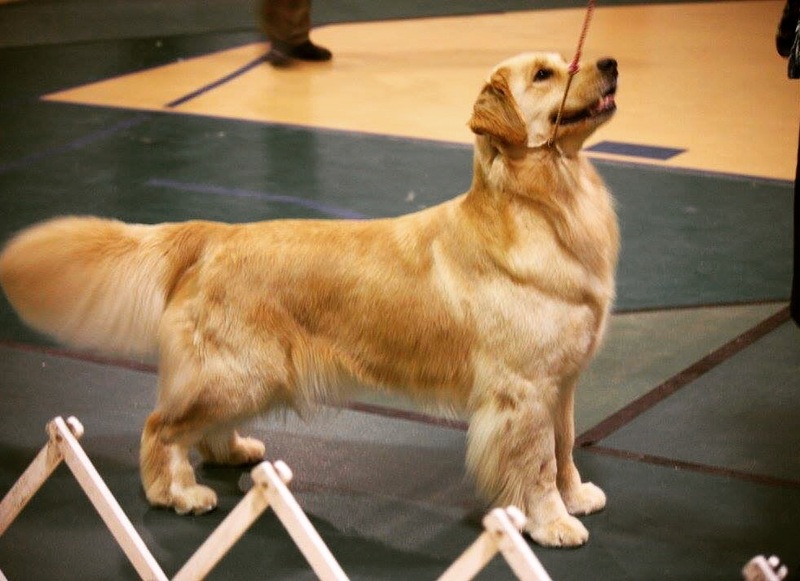 He loves agility but gets distracted by the workers in the ring and needs to go say “hello” to them so it has taken us 6 tries to get this title. 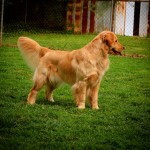 With Target, she helped me pick her out from birth. 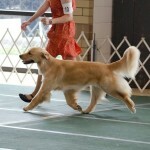 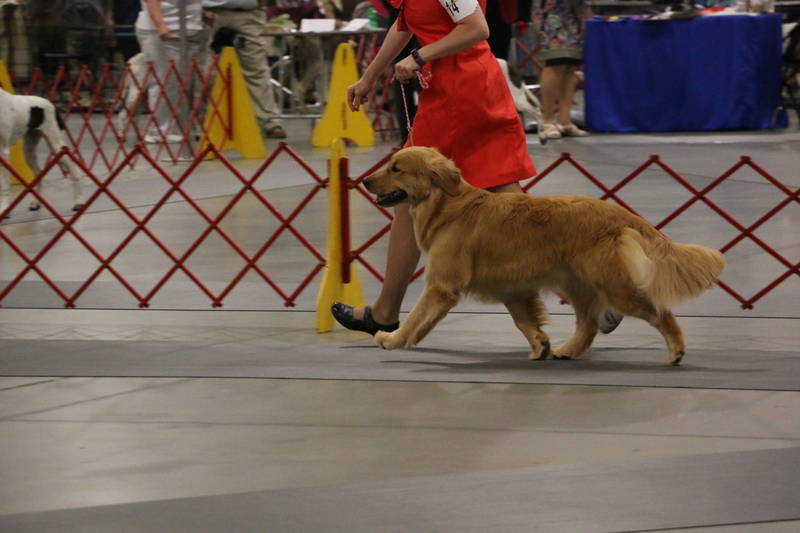 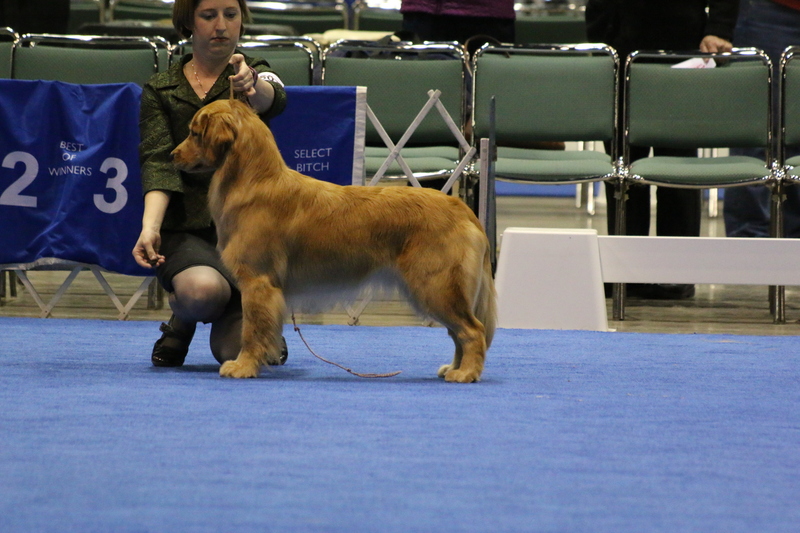 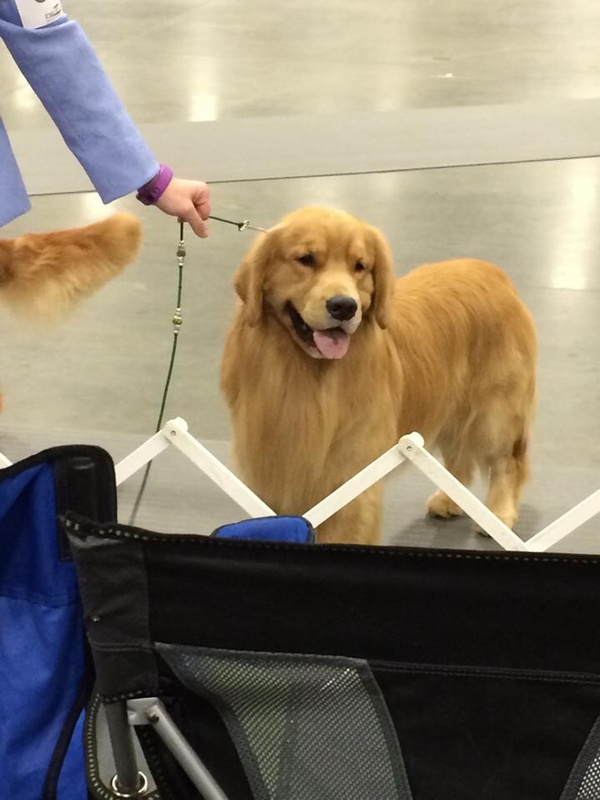 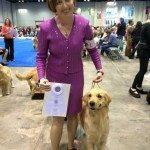 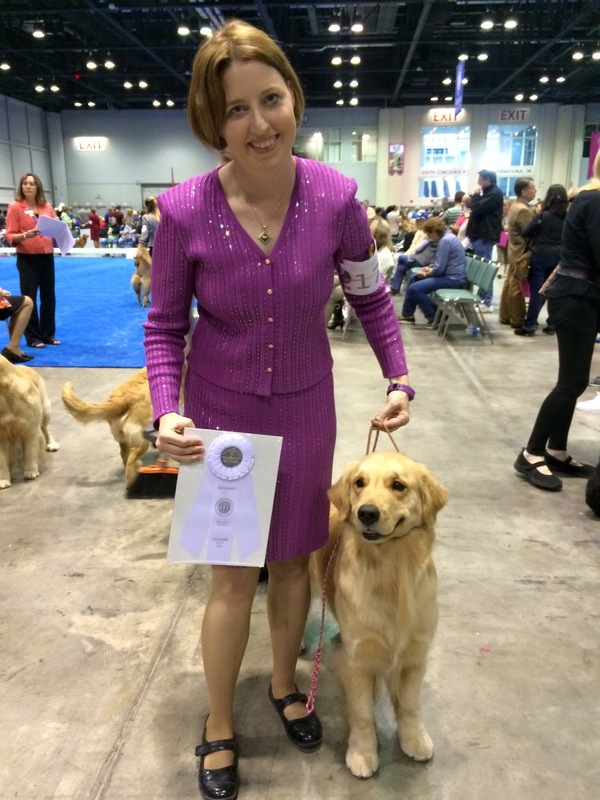 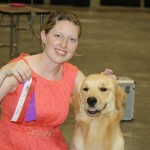 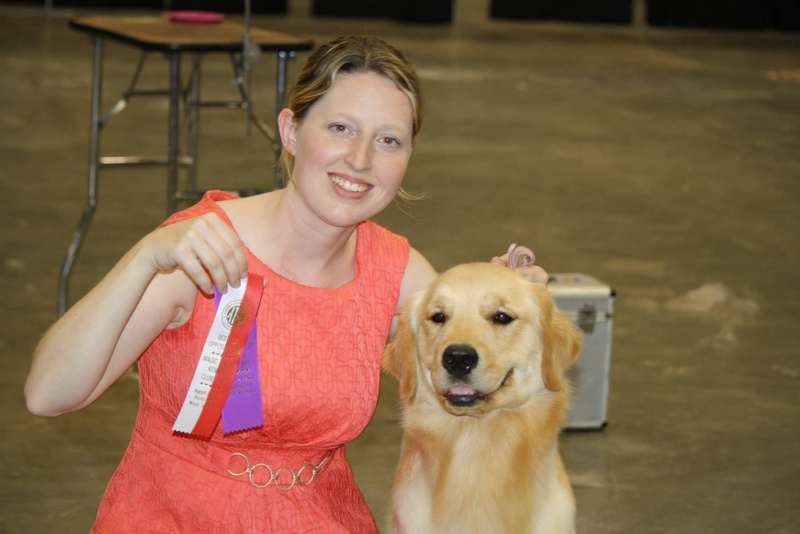 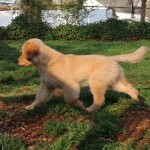 Leslie finished a GCH on Bokay, Targets’ mom, and now she is also showing Target. 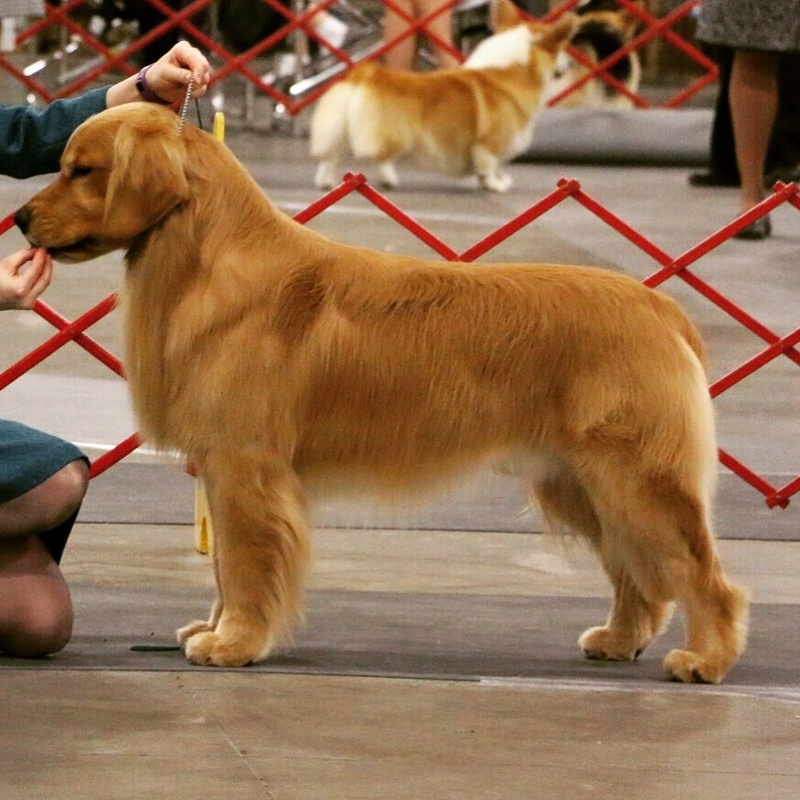 Target is now a Grand Champion. She has turned into quiet the showdog! 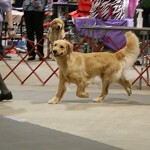 Here is a picture of Target, and 2 of her puppies, Sniper and Skye that are also show dogs. 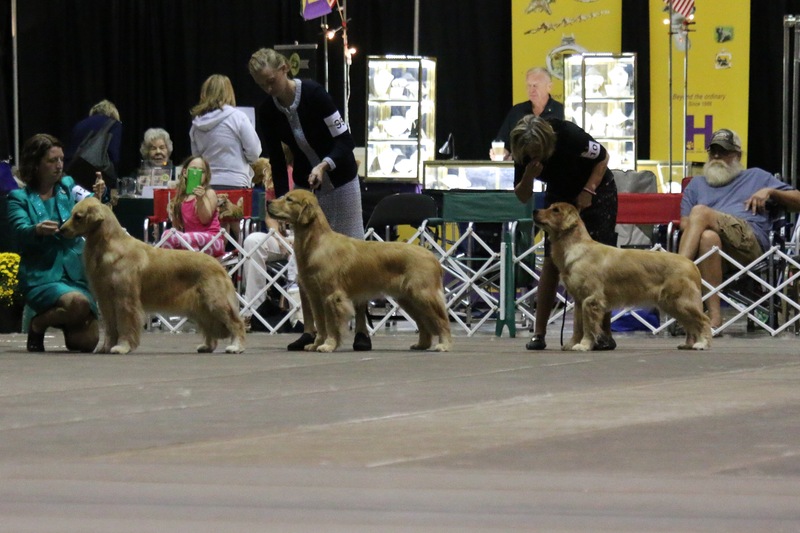 This is at the 2017 GRCA National. 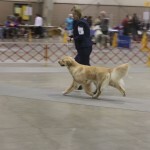 Lola hasn’t been showing consistently so there isn’t much to tell. 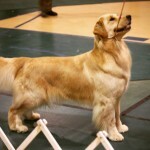 She is the spitting image of Rifle. 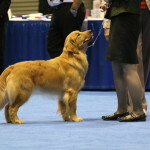 She is also like him in temperament. 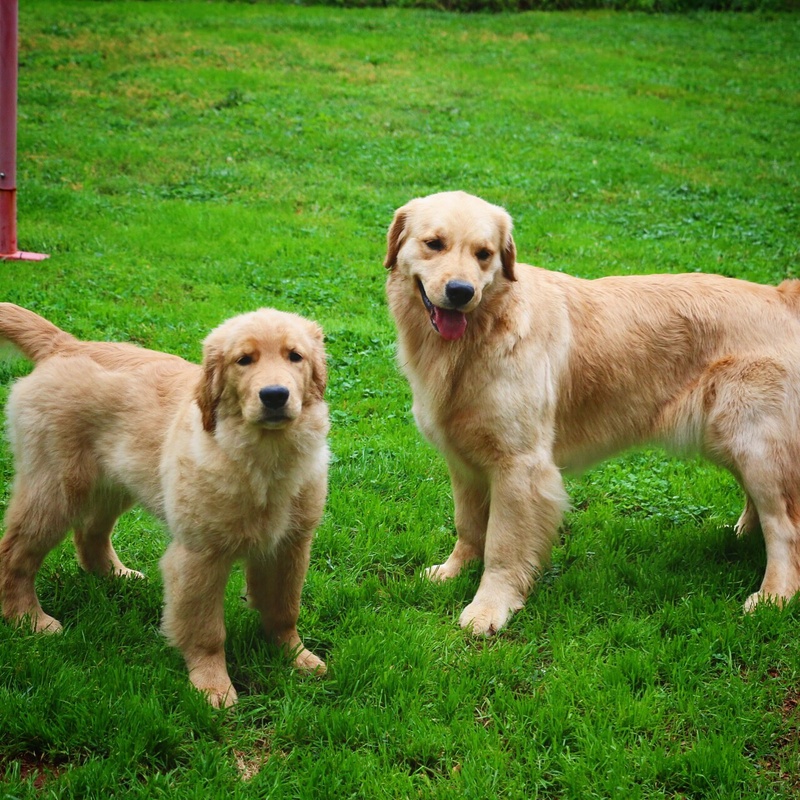 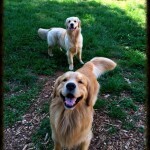 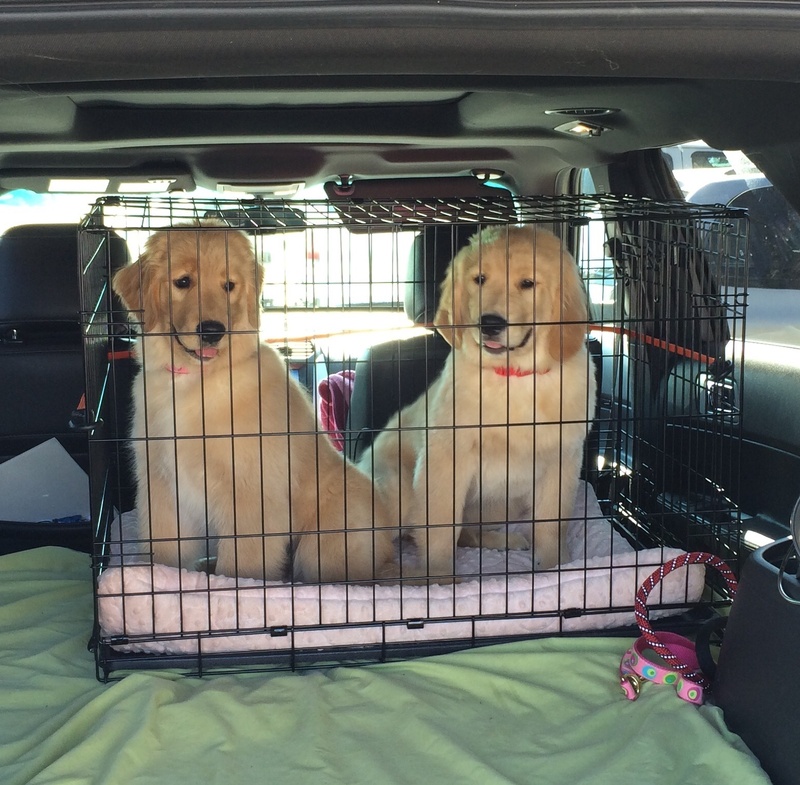 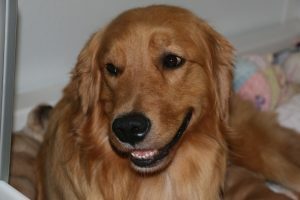 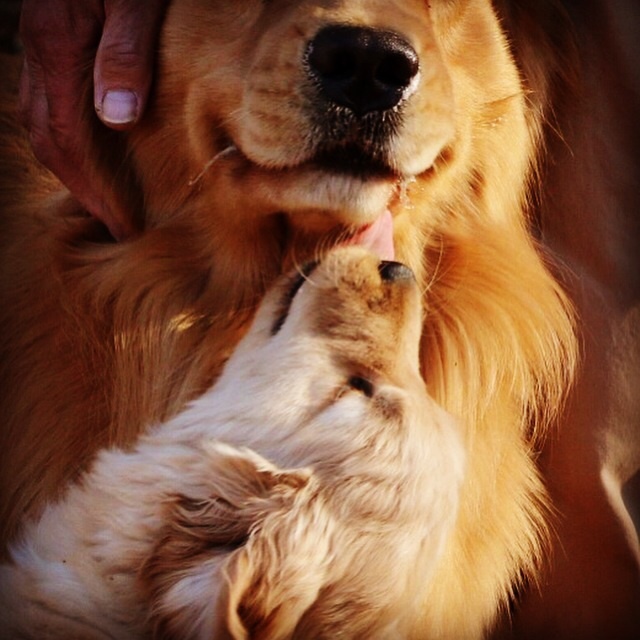 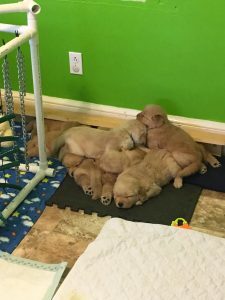 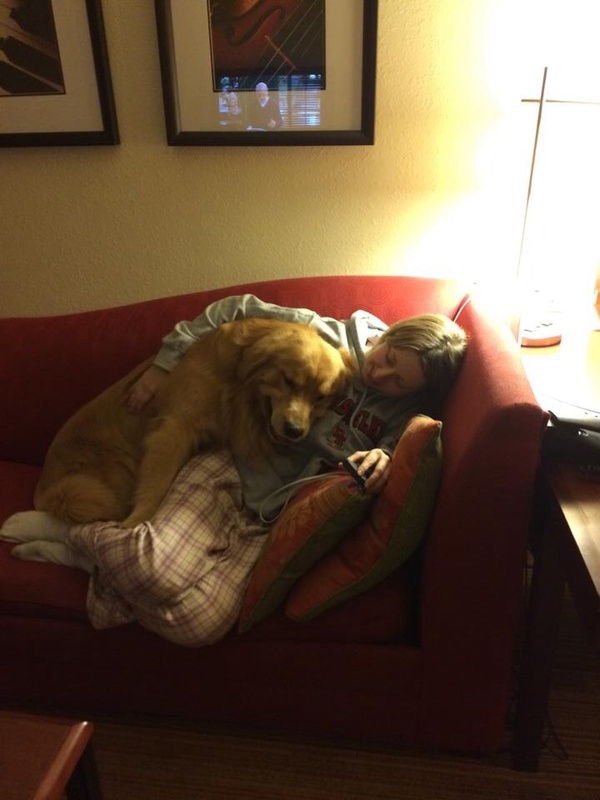 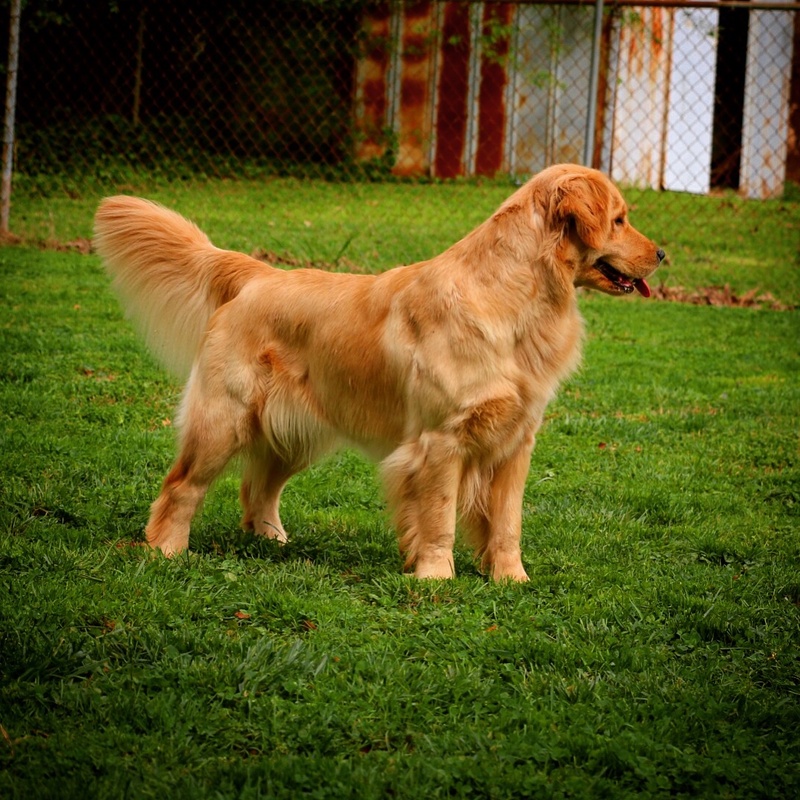 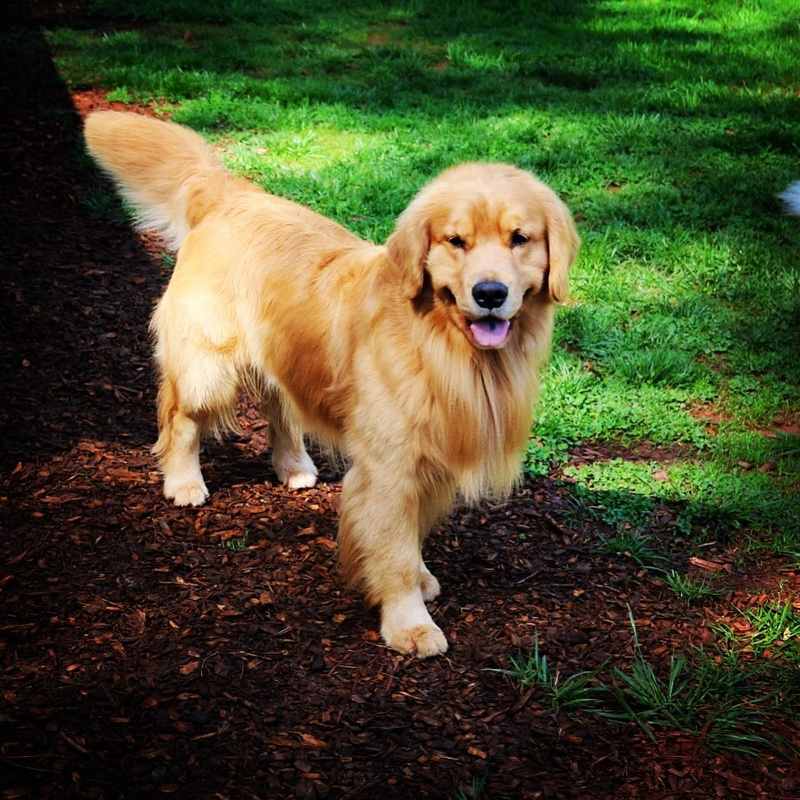 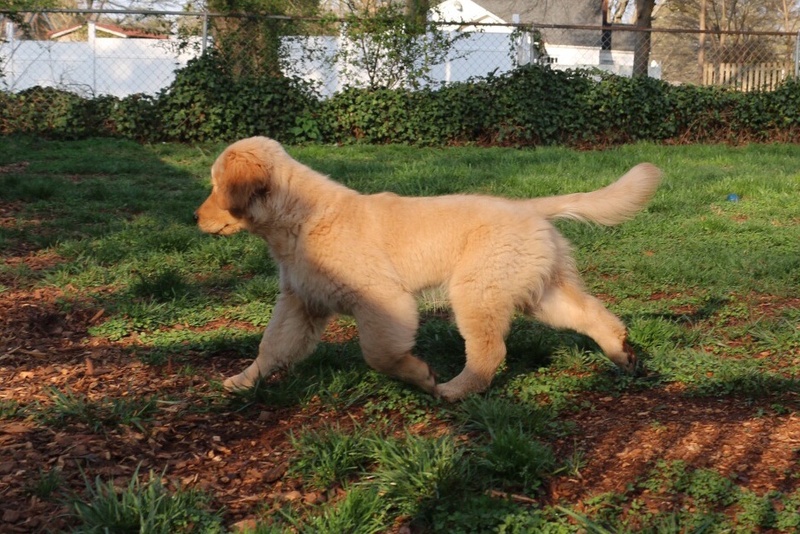 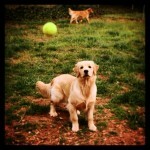 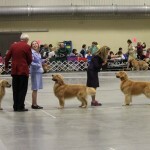 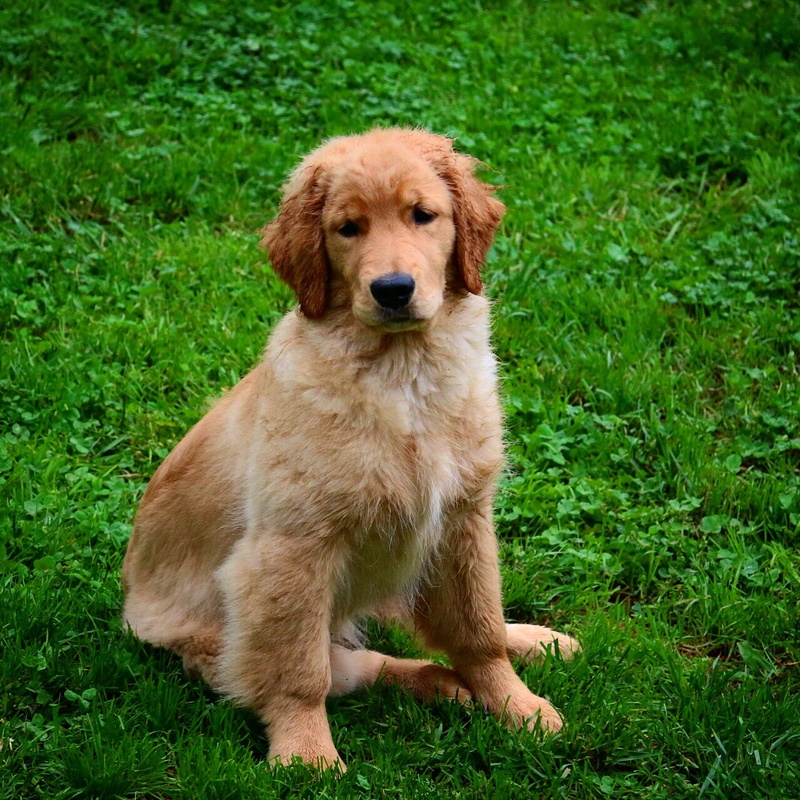 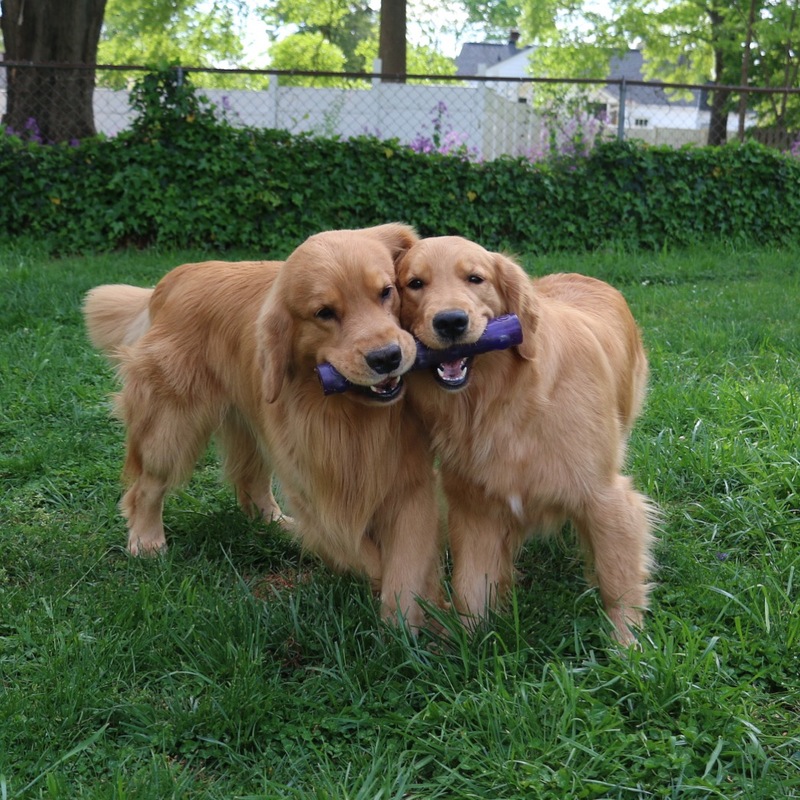 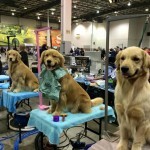 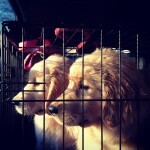 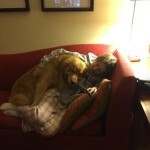 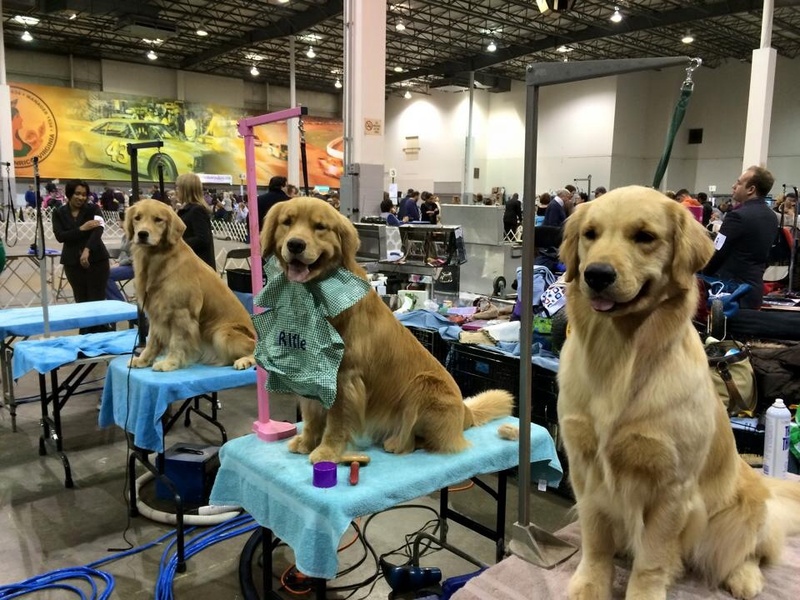 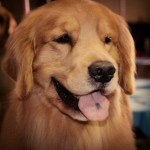 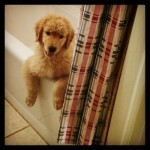 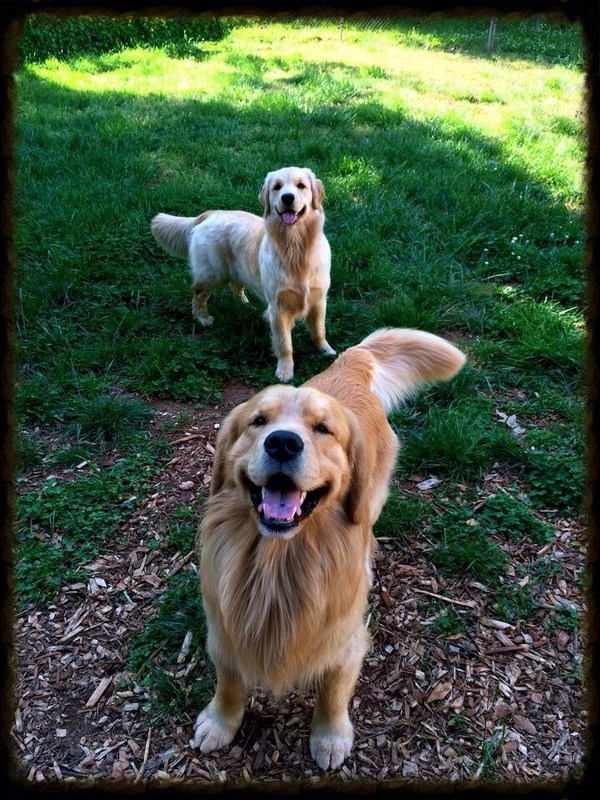 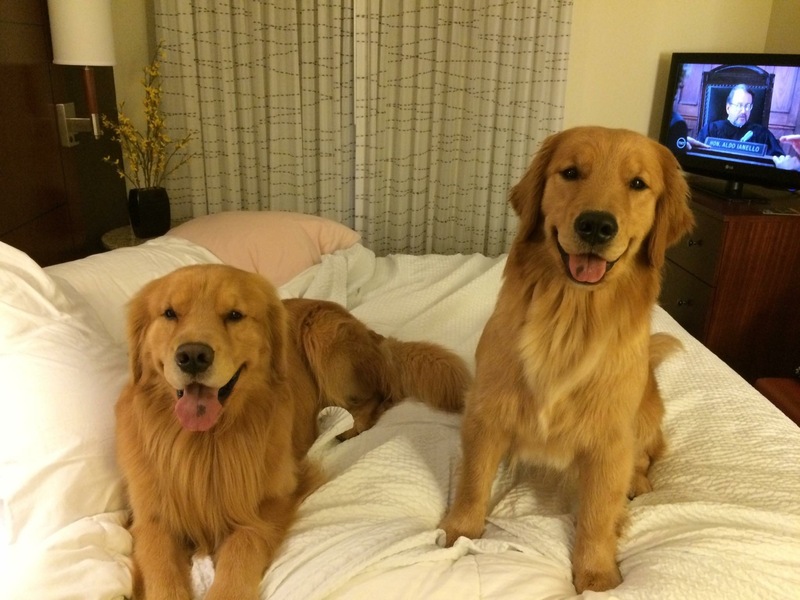 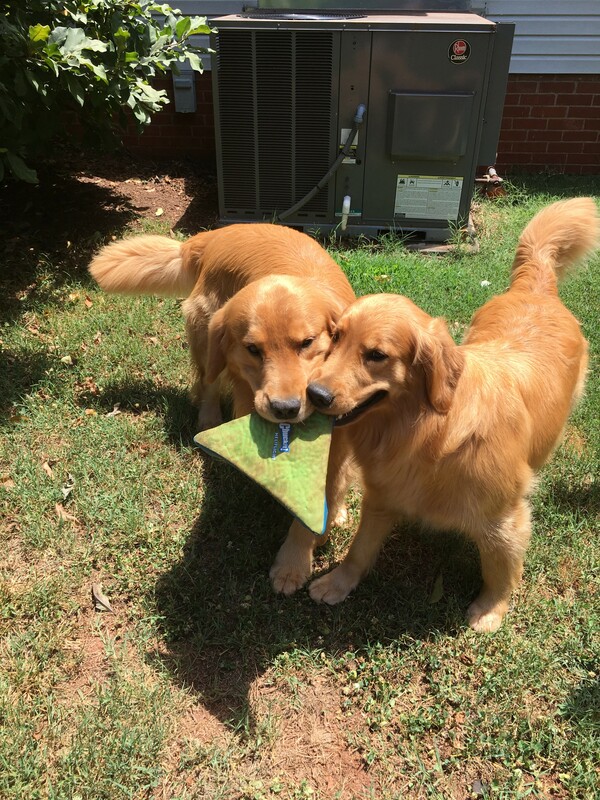 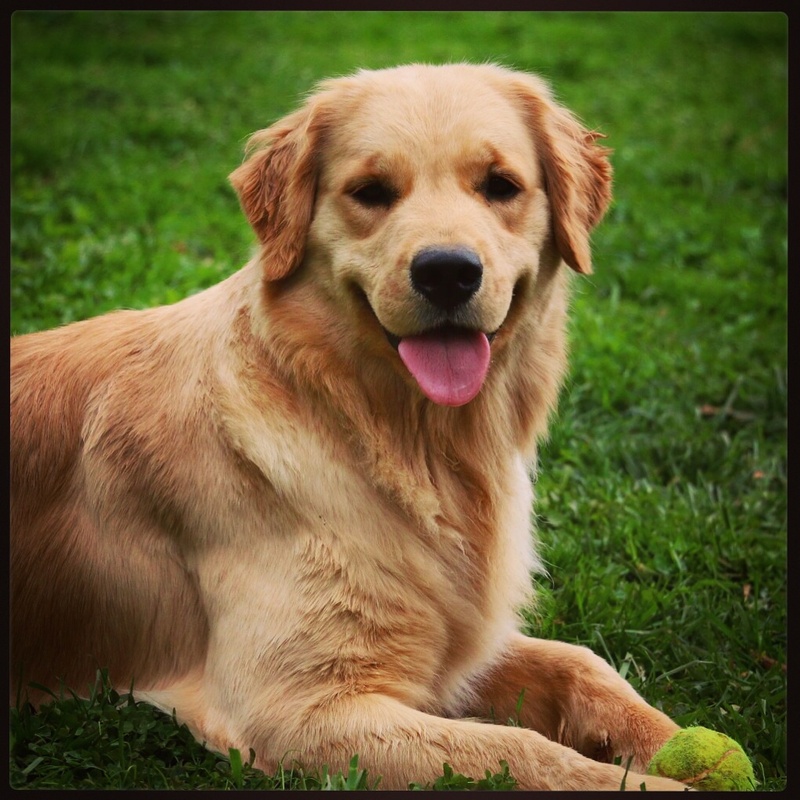 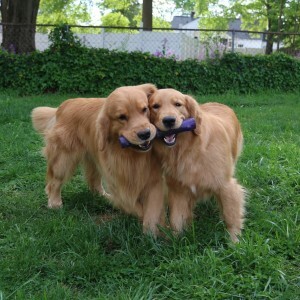 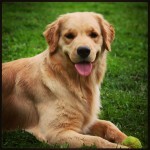 Here are some random pictures of all the Goldens here at GreenGate. 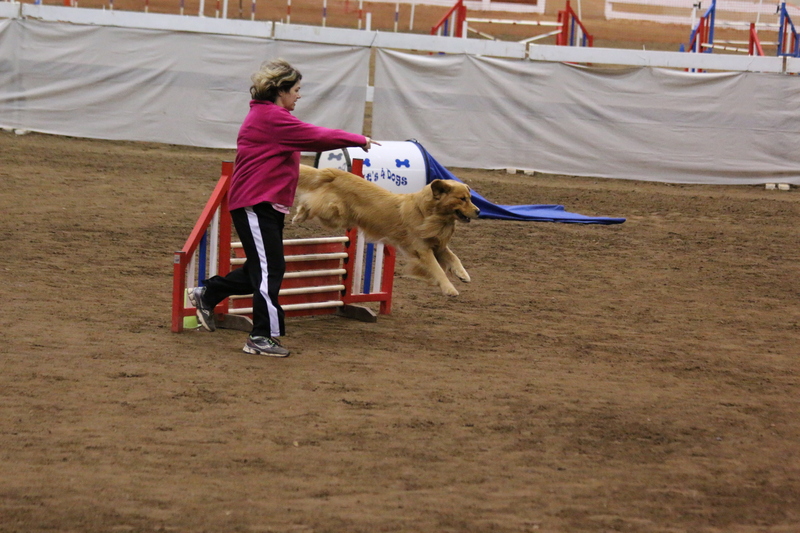 Rifle and Lola are so much fun to watch. 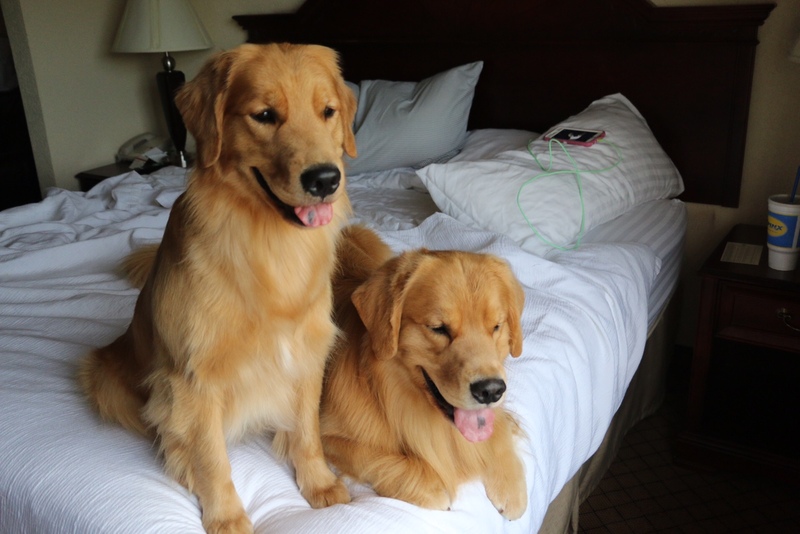 But sometimes you have to look closely to tell who is who!